Learn how to perform this vital adjustment in under 10 minutes. There are times when a guitar that has been playing well for as long as you can remember suddenly feels ‘a bit off’. Maybe the action feels a tad higher than it was, or maybe it feels lower and you can’t get notes to ring cleanly. Or perhaps you’ve noticed that the intonation isn’t quite as sweet as once it was. Guitars are made from wood, and wood has a tendency to move around, depending on how hot, cold or humid conditions might be. 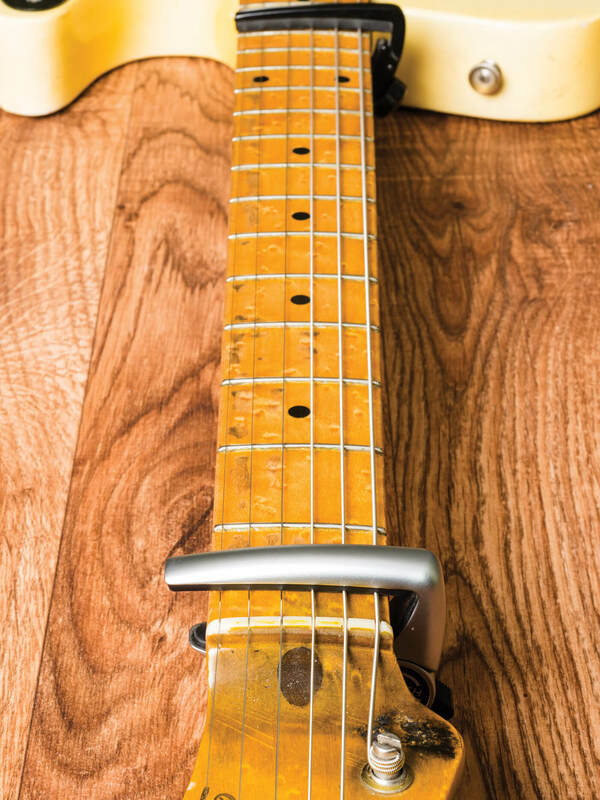 This is most apparent when necks move, and since the middle of the last century, most guitar manufacturers have built truss rods into their necks to allow for subtle adjustments. Truss rod tweaking may also be necessary if you decide to change string gauge. Most necks have a small degree of up bow, and you can gauge this ‘relief’ quite easily. Ensure the strings are all tuned to concert pitch and fret one string at the first and 14th frets simultaneously. You should be able to see a small gap between the top of the fifth or sixth fret and the bottom of the string. If the gap is larger than a millimetre or so, the neck may have too much relief and the action may feel as though it’s too high. Conversely, a very small gap – or no gap at all – could mean there’s not enough relief, and you may get buzzes, rattles or dead spots. On vintage Fender-style guitars and many acoustics, truss rod access is usually at the body end of the neck. With acoustics, you can usually reach in through the soundhole, but with electrics you generally have to slacken the strings and pop off the neck. Later Fender-style guitars, and pretty much all models based on a Gibson or Gretsch design, have the truss rod access behind the nut at the headstock end. This allows you to tweak a truss rod while the neck is under tension. You can assess the results by playing the guitar. 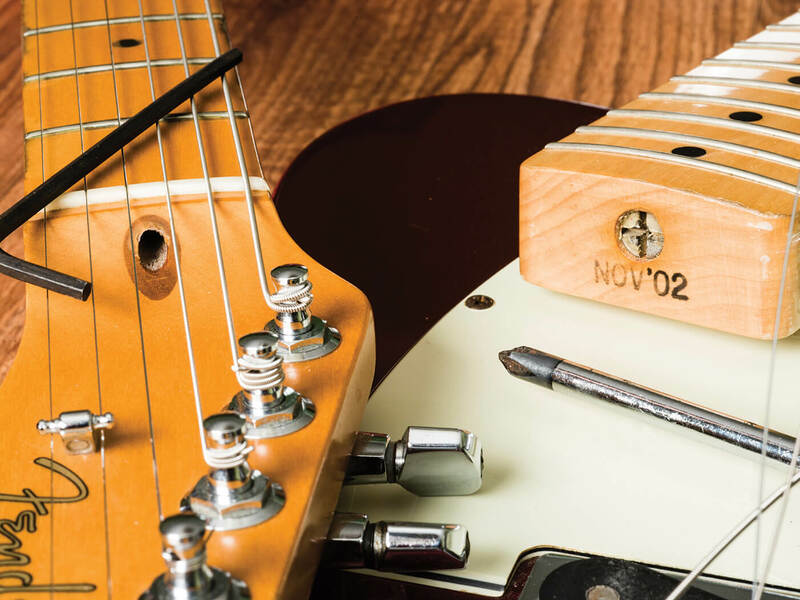 Depending on the type of guitar, adjusting the truss rod may require the use of a large crosshead screwdriver, a socket wrench or an allen key. Occasionally, manufacturers supply the necessary tool inside the case. 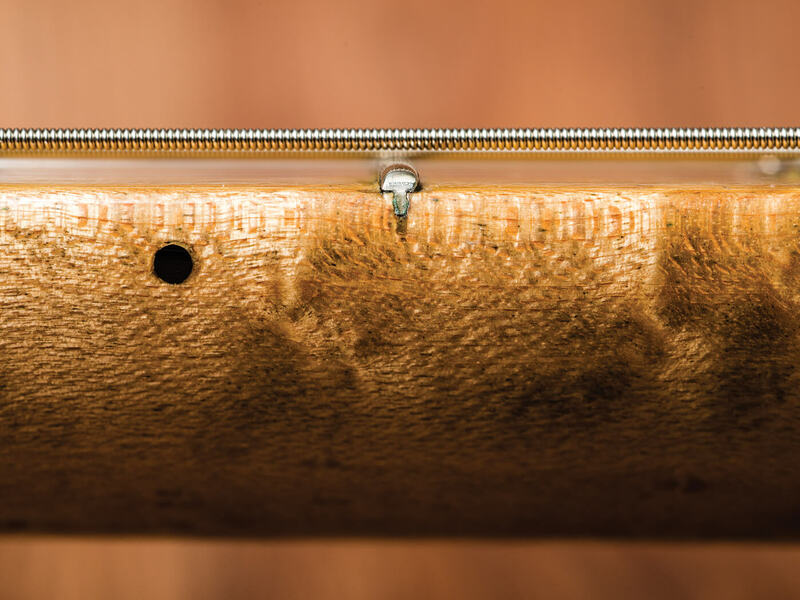 If your neck has a severe up bow or back bow, truss rod adjustment is not the answer, and you should entrust the work to a qualified guitar tech. However, minor corrections are well within the scope of the amateur, so long as you remember to move the truss rod only a quarter of a turn at a time. To increase the relief, turn the truss rod anti-clockwise; and to decrease relief, turn it clockwise. Putting capos over the first and 15th frets (12th on acoustics) will allow you to gauge your progress. If you can get to grips with truss rod adjustment, you’ll be able to keep your guitar playing at its best, and you may save yourself the cost of unnecessary set-ups. Check out more of our DIY guides here.